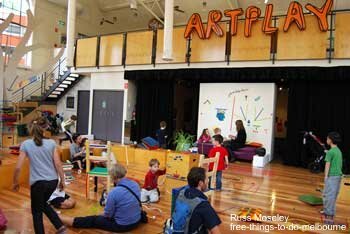 Artplay is located in the only remaining building of Melbourne's old rail yards, behind Federation Square by the Yarra River at Birrarung Marr. 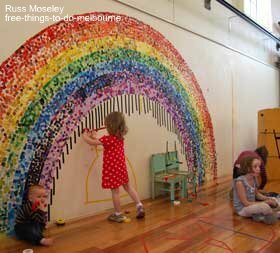 It's a children's art centre, copying an idea first started in Dublin, Ireland. ......My daughter loved it and so did I! Then, when we finished there was the bonus of the playground next to the building. ......All the equipment is in great condition. 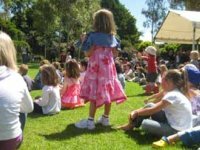 You need to download their website in advance ( click here ) so you can find out when the free events are. 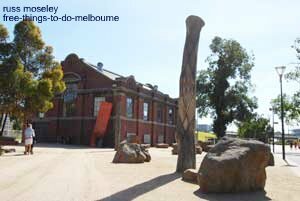 There's other things to do and see round here too - click Birrarung Marr.